Guido Althaus is a partner in the Frankfurt office of Accuracy GmbH Wirtschaftsprüfungsgesellschaft. He brings more than 20 years of professional experience in national and international projects to Accuracy. Guido is specialised in transaction advisory services and litigation support. In this context he was often involved in financial due diligence and restructuring situations, as well as being appointed as expert witness in connection with litigation and arbitration cases. In his professional career, Guido participated in and led over 300 engagements respectively. Prior to joining Accuracy, Guido Althaus gathered his experiences with Big 4 and Top 10 audit and advisory firms, and lastly, with Alvarez & Marsal. Guido is a member of the chamber of certified public auditors (Wirtschaftsprüferkammer) and the Institute of German public auditors (Institut der Wirtschaftsprüfer in Deutschland e. V.). Guido is the winner of the 2019 Corporate Intl Magazine Global Award: ‘Insolvency Litigation Expert Witness of the Year in Germany’. Guido speaks German and English. Guido has been appointed as financial advisor for both corporations and financial investors in the context of acquisitions or disposals. He regularly conducts buy-side as well as sell-side financial due diligence engagements including carve-out, business plan preparation, financial modelling and assessment of synergies. On numerous occasions, Guido Althaus has been appointed as financial expert and has testified as an expert witness in litigation and arbitration cases. Additionally, he has been appointed as arbitrator by the chamber of public auditors (Wirtschaftsprüferkammer). In the context of litigation and arbitration cases, Guido’s focus is insolvency situations, valuations/damage calculations, economic analyses and forensic accounting. 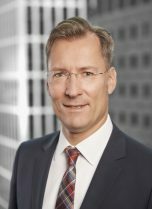 In conducting his engagements, Guido Althaus has expertise and applies the prevailing case law as well as the standards issued by the German Institute of Public Auditors (Institut der Wirtschaftsprüfer e.V. ).